E. F. San Juan, Inc. is a Florida-based custom millwork company with manufacturing plants in Youngstown, Florida. 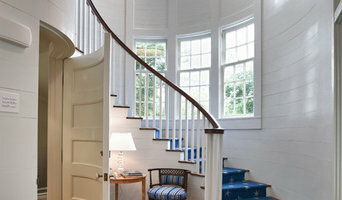 Production includes solid wood mouldings, interior doors, exterior doors and related architectural millwork. In addition to the products manufactured in our plants, E. F. San Juan also represents some of the nation’s most respected millwork manufacturers. Architectural wood and fiberglass columns by HB&G; Custom entry doors by Caoba, Buffelen and Signature Door; Interior doors by TruStile; Stair parts by Oak Pointe; Decorative molded millwork by Fypon; And entry and interior lock systems by Emtek, Baldwin, Rocky Mountain and Ashland. We are also proud to be dealers for an international assortment of premier window and door manufacturers. E. F. San Juan represents Weather Shield, Loewen, Caoba, and Montag. As dealers, we combine a knowledgeable sales force, a helpful staff and a nationally recognized service team to offer the most comprehensive window and door program available in the markets we serve. So, by choosing E. F. San Juan, you have access to the nation’s finest mouldings, windows, doors, columns, stair parts and architectural millwork. Our experienced and dedicated staff awaits the opportunity to be service. We look forward to working with you on your next construction project. PlumberStock was founded with the vision of creating an online retailer of plumbing, heating, cooling, and ventilation supplies with wholesale pricing for everyone. 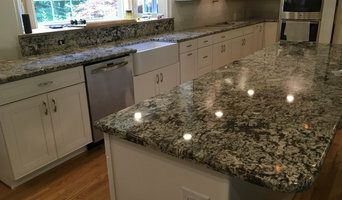 ILKEM Marble is the largest fabricator and installer of Natural & Engineered stone counter-tops in Pennsylvania, helps you with everything you require to know about counter-tops. 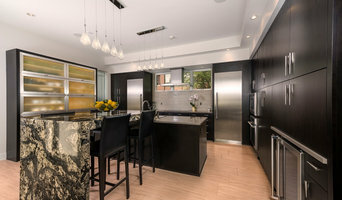 ILKEM Marble provides the best of quality products including a fine selection of granite, marble and quartz counter-tops. With a presence on more than 5.5 million homes, James Hardie is the #1 siding brand in America. A uniquely beautiful James Hardie exterior includes a complete portfolio of siding products including lap siding, panel, trim, shingle and soffit. For interiors, James Hardie provides solutions for floor and tile underlay. James Hardie products are used in a number of markets including residential new construction, repair and remodelling and a variety of commercial and industrial applications. EXQUISITE ALUMINUM WINDOW & DOOR PRODUCTS --- DESIGNED IN EUROPE, WELL CRAFTED IN AMERICA Modern architecture originated in Europe and was introduced to the United States in the early 1940s. Reynaers products have been around since 1965, embracing this philosophy of design merging glass and metal to celebrate open views and clean lines. Reynaers Aluminum is a symbol of high quality architectural doors and windows. Reynaers continually leverages the latest world-wide technology to evolve our products into engineering marvels that are aesthetically breathtaking. *Authorized Builder for Andersen Windows & Doors* A nationally recognized company, McCray Lumber and Millwork has found success over the past century with their exceptional products and services. At McCray Lumber and Millwork we are constantly looking for ways to improve the customer experience, while continually expanding our knowledge. With a vibrant and solid history, McCray Lumber and Millwork is a true testament to how a company can do well for themselves and their surrounding community with the right attitude and know-how. As a member of both the Greater Kansas City Home Builders Association and Kansas City NARI (National Association of Remodeling Industry), McCray Lumber and Millwork will change the way you view building materials. With only the highest caliber of products and services, McCray Lumber and Millwork utilizes our large operation to provide top notch services to compliment all of your lumber and millwork needs. McCray Lumber and Millwork has been a leading provider to the building community since 1947. With a record of high standards and excellence, McCray Lumber and Millwork is committed to always improving upon our own knowledge, as well as the products and services we offer. Currently offering a wide range of products from Decking to Siding to House Wrap and everything in-between, McCray Lumber and Millwork only provides customers with the best of the best. And don’t forget about all of the services like GPS Equipped Trucks, Marketing Resources, and Centralized Deliveries that help to make the customer experience memorable. McCray Lumber and Millwork is much more than just another lumber store. We operate with 50 acres of open yard, over half a million square feet of covered storage, 100 trucks, and 200 employees dedicated to each individual customer. On-time and Complete delivery for your project is what we strive for. See McCray Lumber and Millwork up close and personal for yourself by visiting any of the 5 lumberyards or millwork location. Conveniently located around the Kansas City area in Olathe, Edwardsville, Lawrence, Topeka, Fairfax, and Liberty, top of the line products and quality services are just a short drive away. Stop in and visit us today! Antique Beams & Boards is considered a primary source for reclaimed wood and wood products in that 80% or more of the material we offer was salvaged by us. This is vital in maintaining consistent quality and inventory of a large variety of unique material. If you are in need of any type of reclaimed wood materials, we can help! We always encourage designers, architects, and contractors to include us in the design phase of their project! Doing so allows us to provide you with our expertise in what will work best and fit the price point you are looking to maintain. Call us today! Northern Roof Tiles is North America's premier importer of fine clay roofing tiles. We have been in business for 26 years and in that time we have had the honor and great pleasure to have been a small part in many great projects. Northern Roof Tiles has endeavored to offer and unparalleled collection of luxury roofing products. Primarily known for our Clay Roof Tiles we also offer more cost effective concrete and slate alternatives. We are specialists in clay tile who know and understand all aspects of these roofs. As our name implies we are headquartered in the north, near Niagara Falls, and understand the effects of our ever changing weather patterns and the probable long term effects on a clay tile roof. Selected from the wolds best manufactures our tiles are made from natural clay, by the finest tile makers, using centuries old craftsmanship. Our long standing professional relationship, over two decades, with these prestigious manufacturers, allows us to present homeowners, architects, designers and roofers with the widest selection of authentic, imported clay roofing tiles available in North America today. Northern Roof Tiles is a good old fashioned ‘middle man’. On one side we have the tile makers and the other side you the client, be you the home owner, architect / designer, builder or installer. Our job is to bring both sides together and make sure everyone is happy. As a testament to our ability to do just that, each year between 75% and 80% of our business comes from repeat customers or existing client’s recommendation. We have built our business based on Experience, Knowledge, Passion & Personal Service. *Authorized Mid-Continent Cabinetry Dealer* Whether you’re updating an existing kitchen or embarking on an entirely new home, we treat every customer like they are the most important. We pride ourselves when it comes to customer service. Plan: Our planning process is built around you. You’ll collaborate with our knowledgeable sales staff to help plan every detail without breaking your budget. The planning phase happens like this: Initial consultation between you and a sales representative Delivery of detailed plan and budget document Follow up meeting with you to answer questions and get your stamp of approval Design: We don’t order any materials until you approve the design to the very last detail. And thanks to our patented three-step process, we’re confident you will be pleased with the outcome. The design phases happen like this: Creation of initial design that captures the essence of your project Formal review of initial design Final design delivered to you for approval Install: It’s a thrill when you see your vision implemented right in front of you. We help you choose the right professionals for your project from start to finish. We are a family run business who look to take the stress out of our clients and provide them with a clean run in any type of renovation they require within their home. From bathrooms, kitchens, basement renovations, to your small simple jobs such as painting and decorating. We always look to support and give our creative ideas when our customers ask us, along with going the extra mile in researching products such as sanitary wear, paint colours, floor types and putting together samples for them to choose from. We have a team of trades men who all specialise in their areas, from fully qualified gas safe engineers, plumbers, electricians, cabinet makers, plasterers. What ever the clients need we will ensure they are fully satisfied from beginning to end. Higgins Wall Decor Store is an exciting online brand, bringing together a range of decorative building products that are used by leading architects, developers, designers and of course the general public throughout the UK. We supply wall decor products at the best prices and highest quality by working closely with manufacturers to ensure a premium service. BuyFauxStone.com provides our customers with a lightweight, easy to install system of faux stone wall panels, architectural moldings, columns and decorative accessories that are all made in the USA. 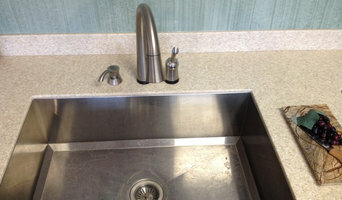 Our strong commitment to customer satisfaction has helped make BuyFauxStone.com a recognized leader in our industry. We also stand by our products offering our customers a lifetime warranty. BuyFauxStone.com products are manufactured using hard cast urethane, not Styrofoam. The products are molded off of real sea coral, wood finishes, natural stone, andother authentic details. You may use our product for both interior and exterior applications. This product will not absorb water, mildew or rot. It’s other qualities such as hardness and density provide an easy method of nailing and screwing. All Products are available in stone white or travertine stain finish, however you may paint or stain product to any desired color. Our Mission is to provide our customers with a source of finished, lightweight, and easy to install products helping your decorating dreams come true! 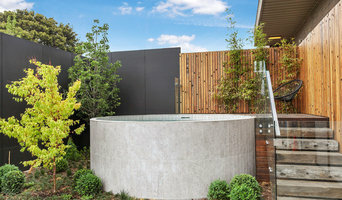 Chez e-miroiterie.com nous sommes avant tout des miroitiers professionnels. Notre site de vente en ligne de verres, miroirs et vitrages sur mesure est destiné aux particuliers et professionnels. Notre sélection des produits verriers est particulièrement adaptée à la décoration, l'architecture d'intérieur et la rénovation et le DIY. (Crédence de cuisine en verre laqué, étagère en verre sur mesure, miroir et tout autre type de verre sur mesure). Notre équipe de miroitiers détient un véritable savoir-faire dans le domaine du verre sur mesure, qui nous permet de vous proposer des produits verriers de qualité transformés exclusivement dans la région lyonnaise et de vous conseiller sur les différentes mises en oeuvre possibles. Notre société attache une importance particulière dans la réduction de son impact environnemental. A toutes les étapes de nos processus depuis la fabrication jusqu'à la livraison, nous étudions les solutions qui permettent d'atteindre cet objectif. Nous privilégions les produits verriers fabriqués en France et tous nos produits sont transformés dans la région de Lyon.